NINE in 10 global employees (91 per cent) feel that it is a personal responsibility to keep up with the best work practices through learning and development opportunities, according to the latest report by staffing firm Randstad. However, Singapore falls short of the global average with 83 per cent of employees here ready to take the initiative to upgrade their skills despite the myriad of learning and development programmes available to them, the Randstad Workmonitor survey found. 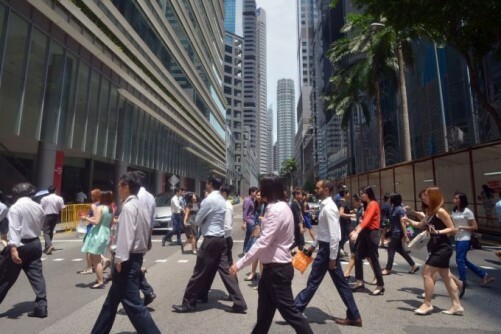 This ranked Singapore workers lower than those in Hong Kong (91 per cent) and Malaysia (96 per cent). Jaya Dass, country director of Randstad Singapore noted, "Employees in Singapore have access to many training programmes either provided by employers or from external channels such as SkillsFuture. Learning and development is a lifelong process and we strongly encourage employees to actively look for interesting opportunities to stay competitive in today's workforce. In Hong Kong, 49 per cent of workers have taken a curriculum course while 39 per cent are willing to search and pay for a programme themselves. But workers in Malaysia put their counterparts in Hong King and Singapore in the shade. A staggering 96 per cent of Malaysian employees say that it is a personal responsibility to upgrade their skills and competencies. One in two employees (51 per cent) had attended a seminar or conference paid for by their employers. At least one-third of employees are open to investing their own time and money in an online course (35 per cent) and curriculum course (39 per cent) to stay competitive. The Randstad Workmonitor survey, which covers 34 countries around the world, is published four times a year. The quantitative study is conducted via an online questionnaire with a minimal sample size of 400 interviews per country.